The kids have been on Spring break this week, and since we aren't vacationing, we have been trying to make the most out of everyday doing something fun, or going somewhere fun. So, naturally I got the kids involved for this weeks thrifty Thursday project. It's a fun project you can do on your own, or with your kids, and it's perfect for Easter. 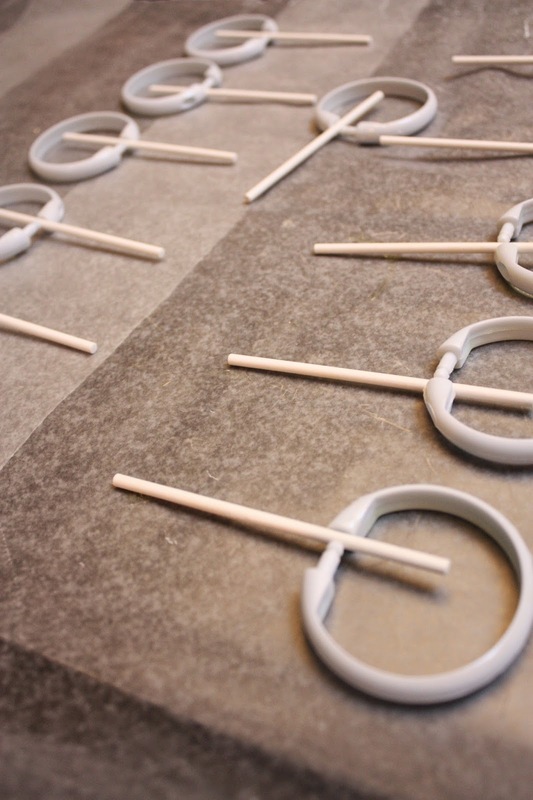 Here is how you can make lollipops out of shower curtain rings from the dollar store! These come in a 12 pack and each recipe makes approx 20 lollipops. Between the grocery store and the craft store you can find these items. 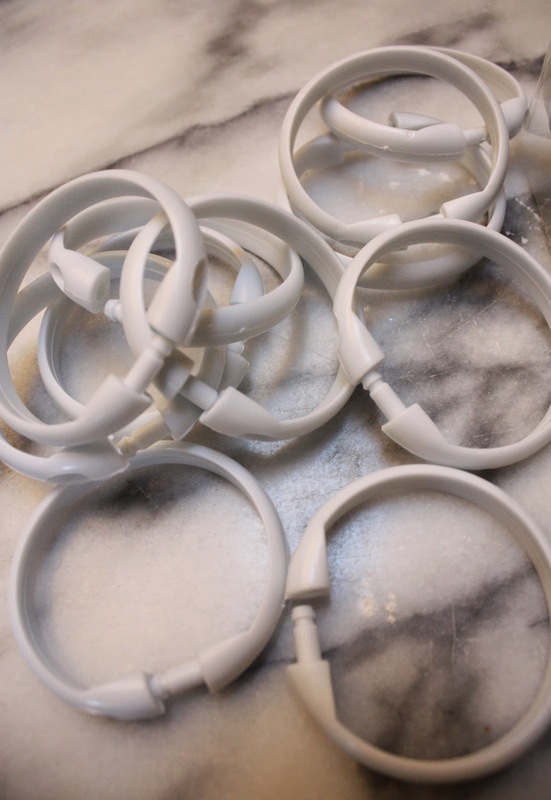 Line a baking sheet with parchment paper then lay out 20 curtain rings. You may need 2 baking sheets. Place a Popsicle stick in each one. 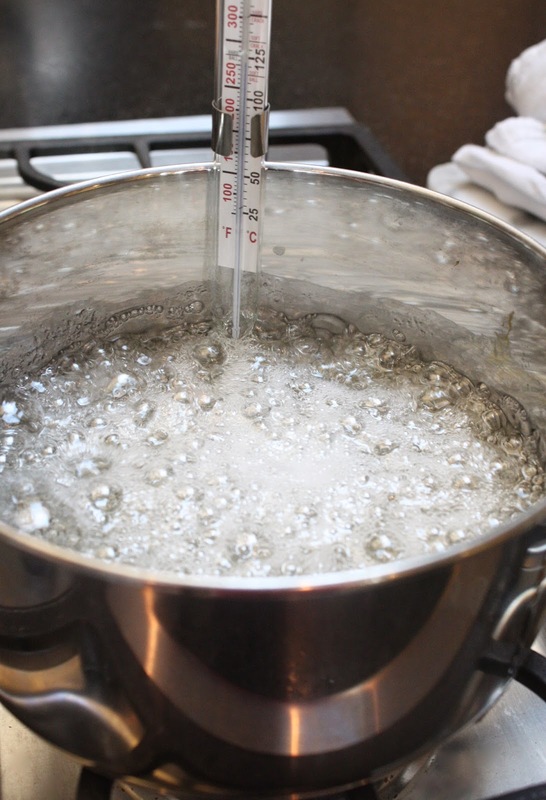 Attach your thermometer making sure it is not hitting the bottom of the pan, and stir. Stir, stir, stir constantly until it reaches a rolling boil. 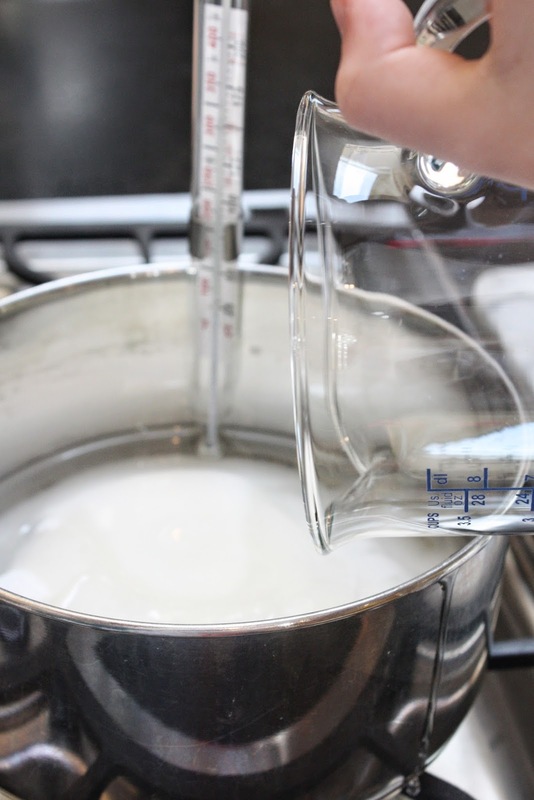 Then stop stirring and watch carefully until it reaches 300 degrees F.
Remove from heat once it reaches 300 degrees F. and stir in both packages of flavoring as well as food coloring if you wish. We used violet food coloring and watermelon flavoring. Once removed from the heat this mixture hardens quite fast, so working quickly, pour into your curtain rings. Let set until hard~a few hours, or longer. The curtain rings will come off easily when they are hardened. 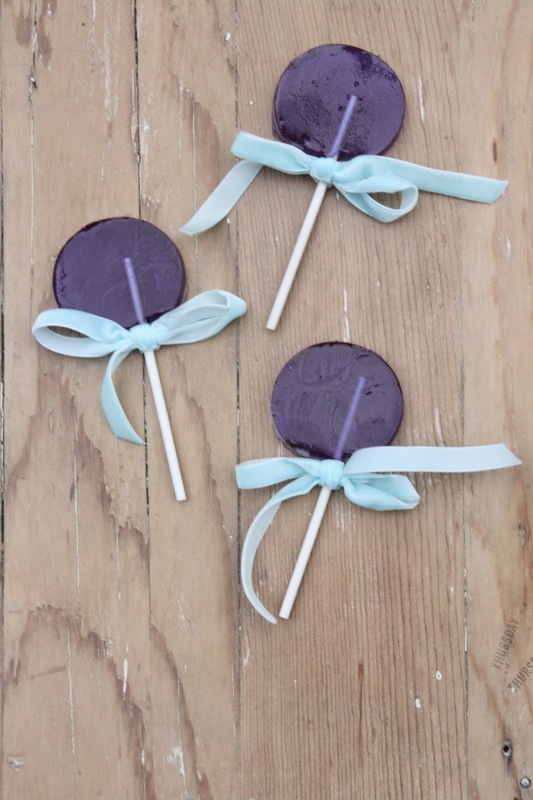 Tie a ribbon around each lollipop. or just eat them right away! Your house will smell like a candy factory. 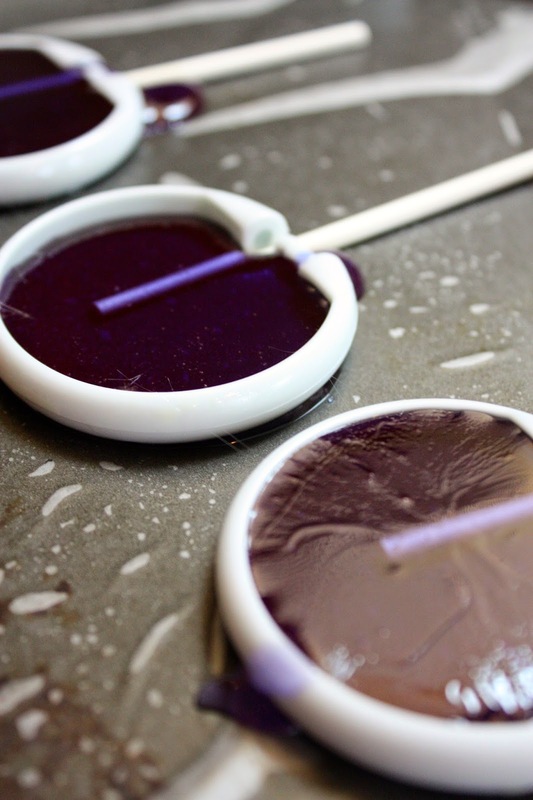 I bet you never thought about using curtain rings to make lollipops before huh? 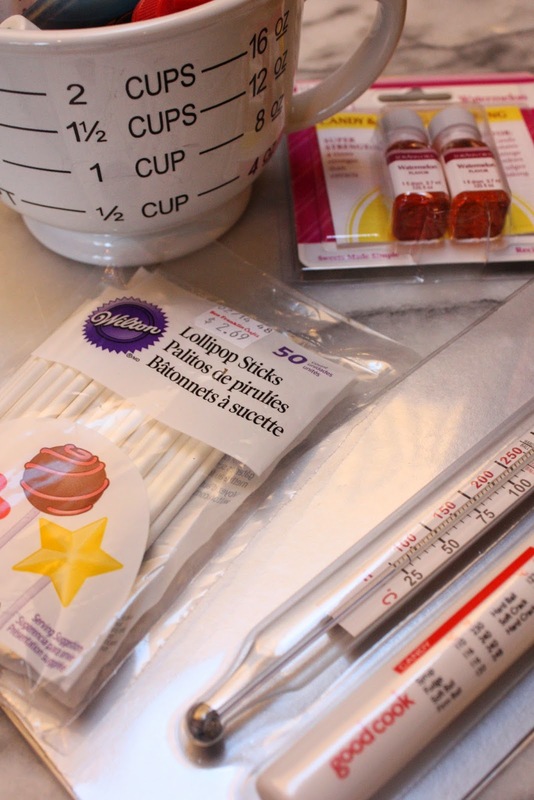 I've never even thought about making lollipops before, but this looks fun!